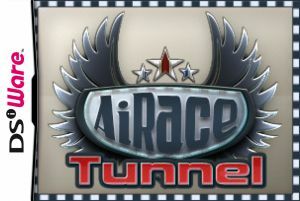 AiRace: Tunnel is an invitation to a certain newly started project - Project Tunnel. It was prepared to examine the quickness and attention of aviation rookies. Think you got the reflexes? Put your skills to the test and see how swift, how precise and how predictive you are. 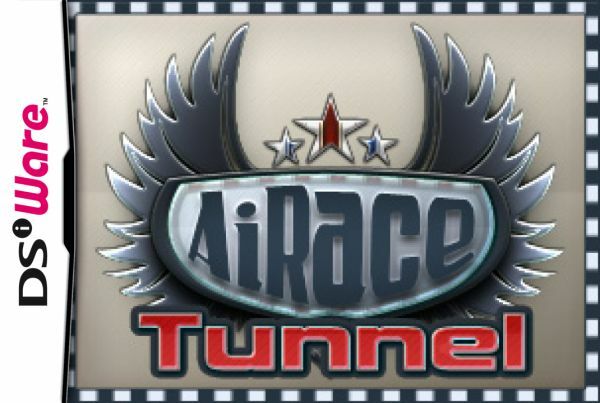 Maneuver your aircraft safely through specially created winding tunnels full of traps. 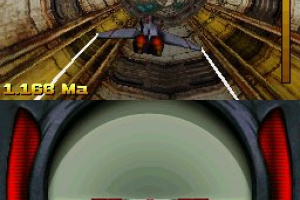 And be careful – your plane will speed up with every second making each turn and each barrier harder to pass. It’s not just a game – it’s a challenge. 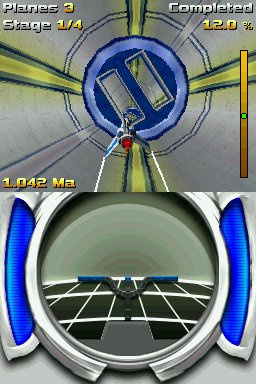 Seems half-way decent, for dsiware standards at least. I might end up getting this if it's released in the US. I might have to get this and AiRace. 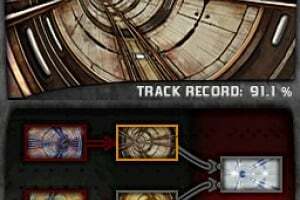 But it looks like tons of repetition, is there an endless mode? @piguy101, I got it and it has 6 levels, and one is an endless level. The game is actually really fun. Extremely addictive and takes awhile to beat. I'd say it's totally worth it for only 2 bucks. i just found out that you can press select while playing or in the pause menu to change the music. this game has a lot to offer in a 200 point category, in my opinion buy it, worth every dsi point! I will get this soon. 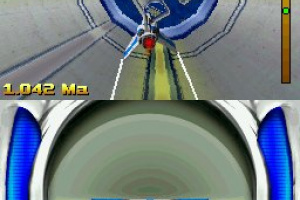 though I wonder why this game is about planes, not about spaceships or something like that. 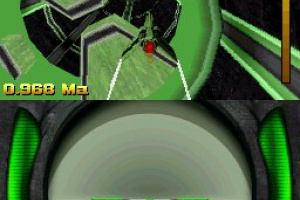 Maybe because this is like a training mode for the main title, but those tunnels looks pretty futuristic. BTW this game is from creators of C.O.R.E. 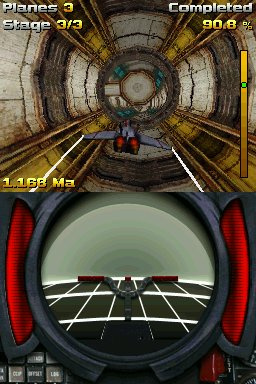 Paper Airplane Chase in 3D this is awesome I have the game the only flaw is when finishing, it feels empty exept for endless mode. I like this game. 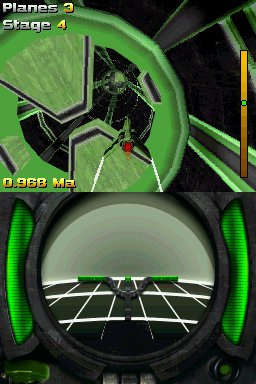 It's not bad for 200 points and I haven't even beaten the second tunnel. I need to work harder. Pffht... So easy! 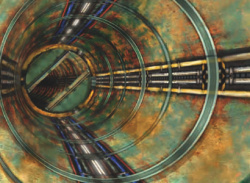 I already beat the last tunnel! 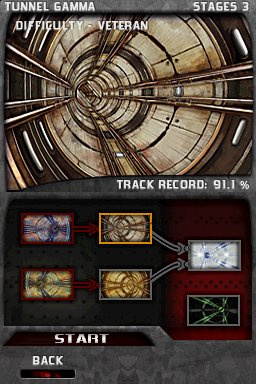 I beat the last tunnel!